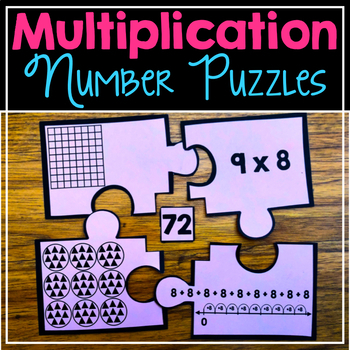 Multiplication Number Puzzles help students match four multiplication models including: multiplication expression, area model, equal groups, and a number line with repeated addition. 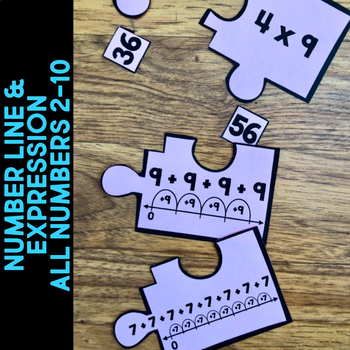 All multiplication equations between 2-10 are represented in the puzzles. 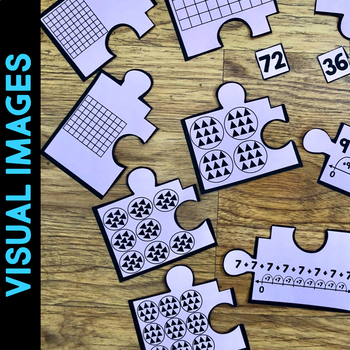 Simple print each puzzle piece on colored paper, laminate for durability, and cut apart. I encourage students to use whiteboard markers on some pieces to add. If laminated, the whiteboard marker ink wipes off easily. 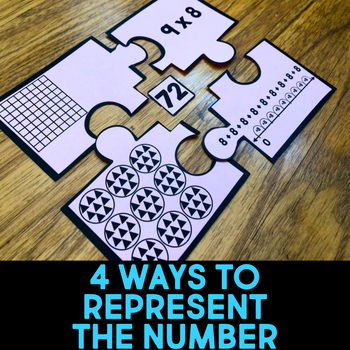 Are you looking for Third Grade Number Puzzles? Click here. Do you teach second grade? Interested in saving time and money? Here is a BUNDLE of all my second grade math resources.